Why Northwest is The Best Driving School in Las Vegas? Only Northwest Driving School offers the 15-6 program which is the perfect fit for most new drivers in Las Vegas. This program does contain some homework. Driving School Las Vegas prides itself on employing excellent instructors who are both experienced and committed to our students. All of our instructors are parents and members of the community and care deeply about the safety of its roadways. To learn more about Northwest's Master Instructors, please visit our Instructors page. Driving School Las Vegas mandates that all of our instructors follow the guidelines established for reviewing the backgrounds of our instructors. We know that your safety and the safety of the loved ones you entrust to us is extremely important…that’s why we leave no stone unturned to ensure their safety. 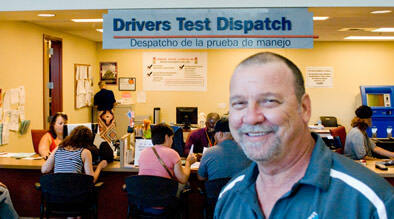 Northwest Las Vegas Driving School recognizes that learning “the rules of the road” can be dry and tedious. That’s why, our instructors make each driving experience both insightful and interesting. Learning can be fun as well as focused. Better to learn a lesson with a smile than forget a fact with a frown. Northwest Las Vegas Driving School knows that every penny counts in today’s Las Vegas economy so upon successful completion of your 6 or 10 hour driving class, you will receive a certificate of completion to give to your insurance company, which could save you between 5% and 20 % off the price of your car insurance. 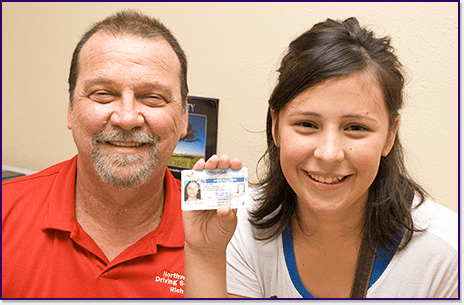 Your driving school completion and student information is reported to the Nevada DMV and you leave with your certificate in hand. Your driving school instructors are licensed through the Nevada DMV, passed a background check and have decades of experience teaching students the rules of the road. Register for class today online or call 702-212-5667, attend one week-end class, pass your test and get behind-the-wheel! What could be easier?